Farnham is an amazing town to experience on foot, but if you’re tired of walking or need transport to different parts of Surrey quickly, then ClockTower Cars your best choice. We pride ourselves on leaving each and every one of our clients feeling 100% satisfied with their ride. Whether you want to make a grand entrance at a party, need a ride to Farnborough Airport, or just want to be taken to the sights and sounds of Farnham. For a peaceful getaway from the hustle and bustle of city life, there’s no better choice than Farnham. Visit the Museum of Farnham, situated in a gorgeous, well-preserved Georgian townhouse, which holds many interesting archaeological artefacts and beautiful artwork, as well as many major exhibitions taking place throughout the year. Take a stroll down the St. Swithun’s Way and North Downs Way National Trail or admire the historic cottages and beautiful architecture dotted around the town. 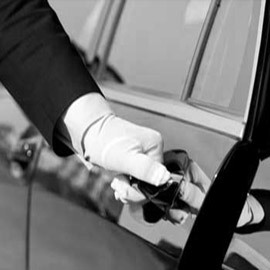 We can make sure that you not only get to your destination on time, but that you get there in style, too. 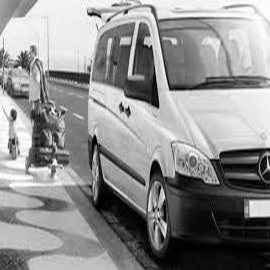 We operate a fleet of stylish, comfortable and professional vehicles – ideal for any situation. All of our drivers are well-trained, and use only the very latest GPS tracking technology to ensure a safe, efficient and affordable journey every time you choose us. With ClockTower Cars, you can put full trust in our professional drivers. Each and every one is an expert when it comes to the road. They have years of experience, plus training to give them an extensive knowledge of Disability Awareness and DVSA regulations. Not only will you get to your destination quickly, but you’ll get there safely and comfortably, too. ClockTower Cars streamline taxi services, making everything easy to arrange and pay for. For quick and easy bookings, download our free ClockTower Cars app from the Apple App Store and the Google Play Store. 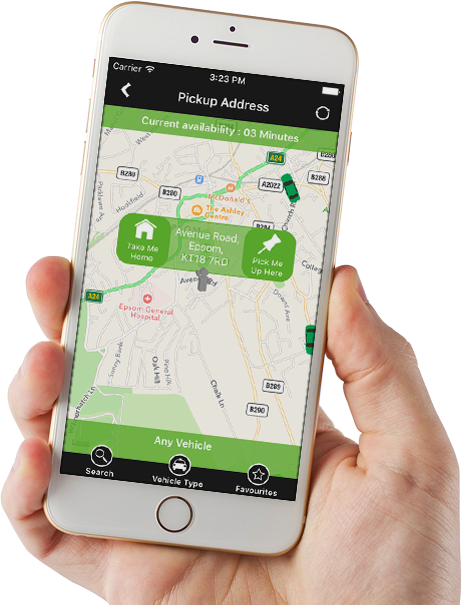 With our app, you can choose your car, book the destinations and times of your journey and even track your chauffeur in real-time. The app also allows users to pay for their journey securely, with the lowest possible rates and no nasty extra costs. Call to book your journey today on 01483 301 000. You can call us 24 hours a day, seven days a week, or click here to create your booking online. “Flexible, on-time and always there for me when I’ve needed them. Cannot thank ClockTower enough for their smart and professional service. “I use ClockTower and have a business account. Whenever I need to get a client from the train station to the office, I call up the guys and they’re on hand right away. “Don’t settle for an Uber or one of Surrey’s other minicab firms when you can work with ClockTower. They’ve never let me down and I’ve been using them for years”.